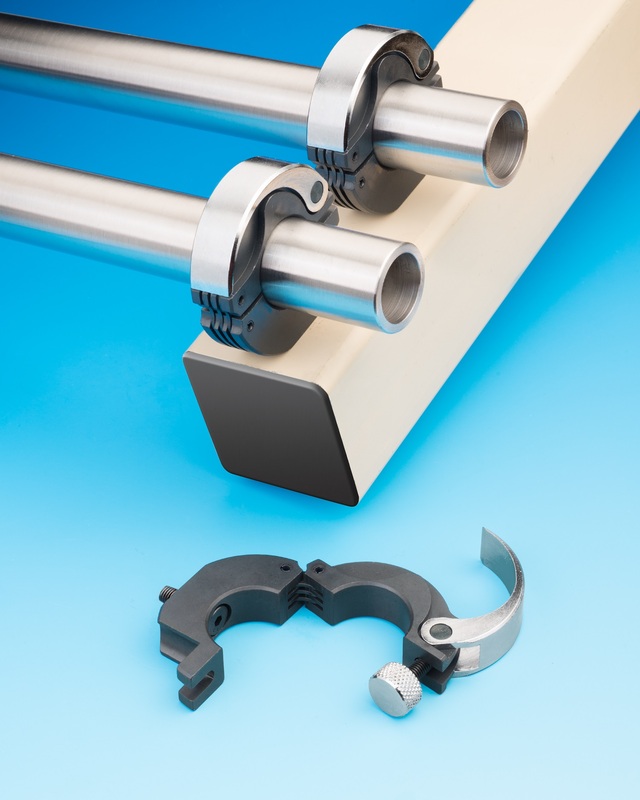 A line of lever-actuated hinged shaft collars now offered with a mounting flat to create high-strength, quick-change pipe mounts and pipe hangers has been introduced by Stafford Manufacturing Corp. of Wilmington, Massachusetts. Staff-Lok™ Hinged Shaft Collars feature an integral hinge with a conformal cam lever for clamping and a knurled nut for adjusting the clamping preset, which makes it easy to open-close and clamp by hand. Now offered with a mounting flat with a countersunk hole and attachment screw, they are ideal for securely mounting pipe and tube requiringfrequent or fast changes. Eliminating the need for tools, Staff-Lok™ Hinged Shaft Collars come in eight pipe sizes from 1/4” through 2” and 12 shaft sizes from 1/2” to 2-1/2” I.D. These standard parts are machined from steel. Special bores and other modifications can be provided. Staff-Lok™ Hinged Shaft Collars are priced according to size and quantity. Pricing and special design modifications are available upon request.